Top international business schools meet executive talent through One-to-One meetings in Singapore on April 11th, 2018. Over the past years the Master of Business Administration (MBA) has become a highly valued degree not only in business-related fields, but in areas as diverse as sports management and aviation. 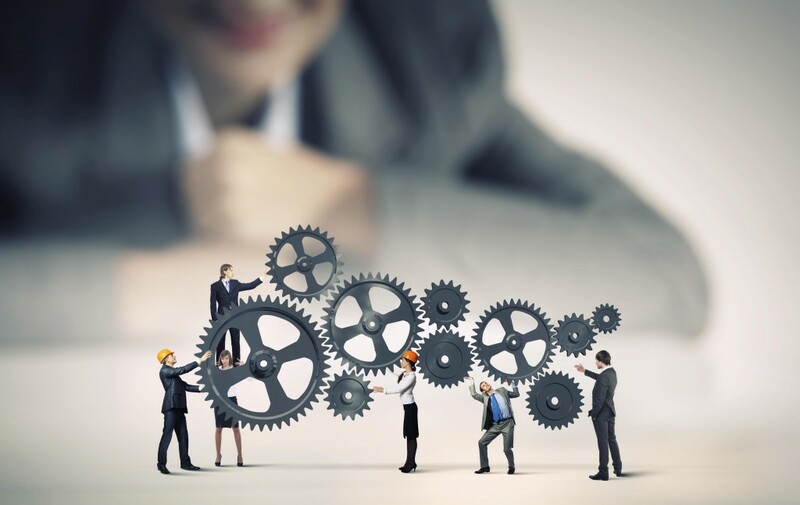 And rightfully so – it can be an asset for professionals who wish to give their managerial career a boost as well as for those who are looking to switch to a different field. Even with increased opportunities for studying in all corners of the world, competition is not to be disregarded. Top MBA programmes are looking for ambitious and well-prepared candidates to build a diverse student body and strong alumni network. Applicants need to be ready to invest time and effort into the application process from start to finish. Here is why a personal touch can go a long way. Deciding to do an MBA is a matter for the career, lifestyle, and future development. The personality and approach of a school are important factors for MBA candidates to consider. How different MBA programmes match one’s expectations are easily discernible by speaking with their representatives in person. Access MBA’s One-to-One event enables professionals to meet the representatives of schools that were carefully selected to correspond to their professional background and expectations. Thus, the school and the MBA candidate are already familiar with one another and each 20-minute meeting is spent discussing the topics that matter the most. 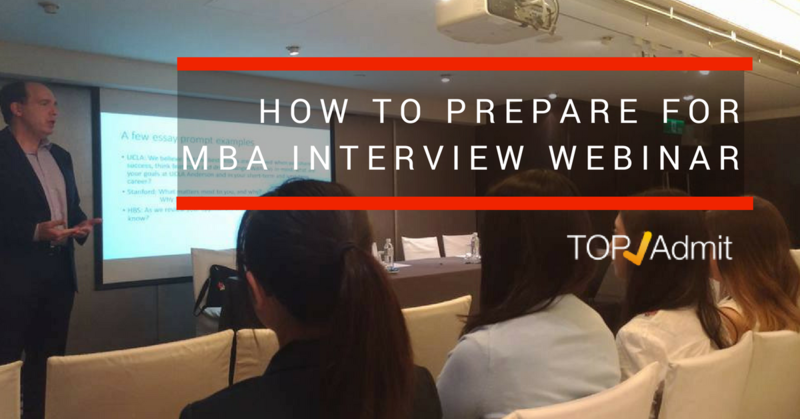 One-to-One MBA event participants get a sneak preview of their chances for admission by asking the right questions and putting forward their best presentation skills. 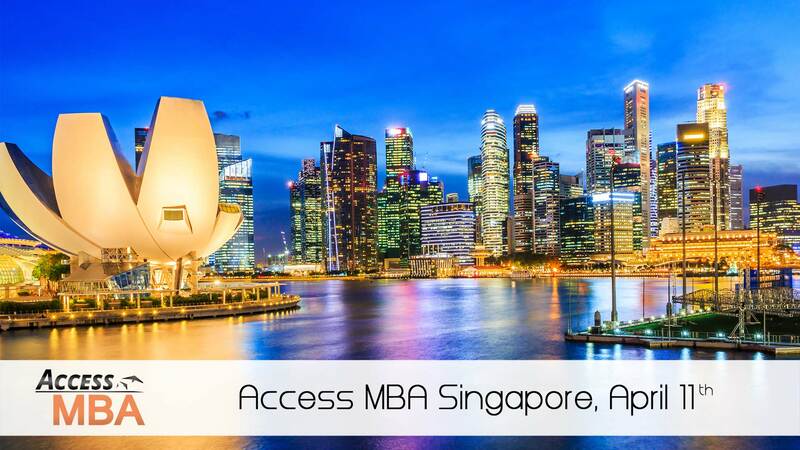 Among the top-ranked, and thus most competitive, business schools participating in the Access MBA event in Singapore on April11th are IE Business School, Hong Kong University of Science and Technology, ESCP Europe, INSEAD, Asia Business School, UBC-Sauder, IESE Business School, Fordham University, CEIBS Executive MBA, HEC Paris and many more. Getting an MBA degree is a once-in-a-lifetime experience, and MBA applicants appreciate expert advice. Before, after and in-between the business school meetings, event visitors can receive free MBA consulting on any aspect of MBA selection, GMAT preparation, funding options, and MBA application strategies to help guarantee a successful business education investment. Studying for an MBA can help you not only learn valuable business skills but also network with knowledgeable and successful professionals in the industry. Registration: Online registration is free of charge on https://www.accessmba.com/link/9t . By registering at least 10 days before the MBA event, event participants will receive a profile evaluation and a personalized consultation to identify the most suitable business schools at the event. The UT McCombs School of Business is a globally recognized MBA program, located in Austin, Texas, a center of technology and business for the region. When approaching these essay questions think about the reasons you are pursuing an MBA, particularly at McCombs. Thorough school research will help you come up with specifics, by talking to current or former students, visiting campus, or attending admissions events. For an open-ended essay with a creative option (the video), it can be daunting to think of a topic. Rather than focusing on how you are going to communicate, start thinking about what you want to communicate to the Texas MBA admissions committee by introducing yourself to your new study group. The best essays will dive deep into your motivations and aspirations, perhaps getting into your cultural background, formative moments in your life and friends, family and colleagues who have influenced you. To identify one or two key stories you may want to tell, think about those pivotal moments of change in your life. For many people, the transition from high school to college and from college to work led to personal change. Others had formative childhood experiences or experiences that led to shifts in perspective like travel or living outside your home country. Anyone of these moments could be a good way to illustrate who you are and what motivates you. 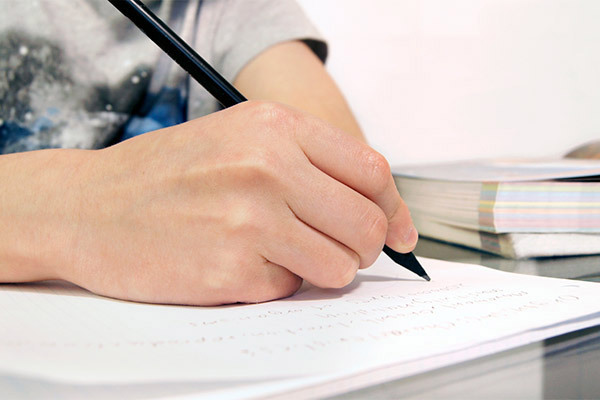 Once you have identified the content of your essay you can decide how to present it. A video could give you the opportunity to add elements of emotion, such as humor, that are harder to convey in writing. A video also allows you to include graphics, photos or other visual elements. If your story fits better into a written narrative you may choose the written essay instead. If you choose a video essay you will still want to write a script for your video. Think about the bullet points you want to cover and any important points you need to convey. If you decide to talk into the camera, rehearsing will be especially important, and consider having a friend or family member there so you can talk to a person instead of the camera. If you are able to edit the video after you record footage it will be easier to keep it smooth and on topic. Either way, make sure you take the time to record several takes of the video content so you can choose the best one to submit to McCombs. This essay is your opportunity to demonstrate strong fit with the Texas MBA program. As part of your homework before starting this set of essays you have hopefully learned as much as possible about the school, now you can bring in your own aspirations and goals. Use your imagination to think about how you might describe your MBA experience at graduation. You’ll likely have experienced both professional and personal growth, and met interesting people who will be part of your lifelong network. To help you get started, research some of the unique opportunities at McCombs like the Venture Labs, if you have entrepreneurial dreams, and The MBA+ Program, with opportunities to work with influential companies through a variety of touch points. Being part of the city of Austin is another unique benefit to the program that you may want to consider in the context of your background and goals. For example, perhaps you were interested in working for a major technology firm to learn product management skills to use in starting your own business. While at McCombs you might have tested ideas with the Venture Labs, and also consulted for major companies like Adobe or HP to learn how large companies worked. These experiences were likely formative as you made career plans. Don’t forget the personal – McCombs has an active and engaged student culture with many student organizations you likely joined. And your classmates and friends you made in the program were definitely an influence as well. It is always useful to read other people’s work to get a sense of what good essays are. To assist you, TopAdmit provides you some MBA essay samples written by counselors and editors hailing from prestigious schools including Harvard. 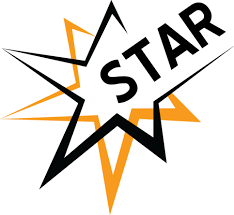 This page contains personal statement samples, statement of purpose samples, and application essay samples for college. But please remember, these are for your reference only; it is not to your benefit to copy their style or concepts. It not only violates academic ethics and could lead to an automatic rejection by the admissions committee — the point of our service is to help you construct a unique essay — not one similar to other essays. After a major review, the University of Pennsylvania’s Wharton School has decided to ask recommenders of its MBA applicants to effectively write two short essays on the candidates they are recommending. It’s a major changeup, in part, because business schools have been reducing the number and the length of essays for MBA applicants for several years now. At least on the surface, it seems ironic that a school would now decide to essentially ask recommendation writers for a pair of 300-word essays. The move also comes not long after several schools have moved to a common rec letter format to make it easier for recommenders to provide support for their candidates to several schools. But Wharton ostensibly thought it could improve on the current system after asking rec writers for their perspectives. “Utilizing their valuable feedback, in conjunction with conversations with writers at a variety of companies and Wharton stakeholders, we have revised and improved how recommenders provide information on who a candidate is both personally and within an organization,” wrote Deputy Vice Dean Maryellen Reilly in a blog post about the change. Several MBA admission consultants, however, weren’t nearly as enthusiastic about the change, largely because they saw it as an additional burden on recommenders. That could encourage more recommenders to ask applicants to write the essays for their approval. “For the personality traits, the good news is that Wharton is trying to get authentic and thoughtful responses from recommenders, rather than literally ‘check-the-box,’” says Betsy Massar, founder of Master Admissions. “Because there are truly no right or wrong answers, hopefully, students won’t be as anxious about not being top at everything. For the qualitative questions, It’s great that the essay question specifically says up front, “give examples.” Maybe that will bring more substance into some of the high-praise-but-fluffy recommendations that don’t differentiate candidates in the least. Jeremy Shinewald, founder and CEO of mbaMission, sees an upside and downside to the change. “Unquestionably, relative to other schools, Wharton will get more thoughtful and colorful letters from those who take the recommendation process seriously – the questions almost force that outcome,” he says. “Unfortunately, they may also serve as a catalyst for those recommenders who may not want to put the time in and who may not put the time in and decide to shirk their responsibilities altogether. Because a truly excellent letter of recommendation can be a very powerful differentiator for any applicant, we strongly advise our clients to meet with their recommenders and discuss the process and more so what it means to write a standout letter. These days just about every business school has a blog or two that regularly dispenses advice to MBA applicants. And, of course, there is no shortage of places you can go on the web to get perspectives on exactly how to respond to a specific essay question at a given school, whether it’s the blog of an admissions consultant or even Poets&Quants. But it’s rare when that advice is as clear and concise as the insider’s guide published recently by Dartmouth College’s Tuck School of Business which has long had a reputation as one of a handful of schools that really get to know the candidates who apply there. This question is as straightforward as it seems. Pursuing your MBA is a big commitment. There has got to be a good reason for this, right? We want to know that reason. What do you hope to be doing after graduating from an MBA program? How does your path thus far play into that? If the logical path isn’t clear, make sure you tell us why you’re making this transition. Also, we want details! You want to lead a company, make decisions, problem solve, help people? Great, but does that mean consulting or product management? Healthcare or technology? What companies interest you? What roles do MBAs play in those fields? Pulling out these details will not only make you a more competitive applicant, but will also give you a great foundation when presented with all your career possibilities. Business school is great for exploring different industries, roles, and companies, but without a plan it can be overwhelming. As for the final part of the question, every MBA program is different. What about Tuck specifically will help you get from where you are now to where you want to be in 3, 5, or 15 years? As an admissions committee, we have only 285 seats to fill every year. We want to make sure we’re offering this incredible opportunity to those who 1) understand why they’re in an MBA program to begin with, and 2) are excited about spending two transformative years at Tuck. What programs, classes, clubs, treks, or activities does Tuck offer that will help you achieve your personal and professional goals? It’s true that we like people who are enthusiastic about Tuck—we want students who will dive in, not blend in! However, that doesn’t mean that you should try to flatter your way in. There are many, many opportunities at Tuck—you owe it to yourself to do some research and figure out those that are truly most appealing to you. If you can take Tuck’s name out of this essay and replace it with another school’s name and it still makes sense, then you need to go back and show you know what makes Tuck (and the other MBA programs you’re considering) unique. We don’t want a laundry list of classes, clubs, or qualities at Tuck. We know what Tuck has. We want to know that you understand why those things are meaningful to you. Be authentic, be straightforward, be specific, and tell a story that makes sense. 2) (Required) Tuck’s mission is to educate wise leaders to better the world of business. Wisdom encompasses the essential aptitudes of confident humility, about what one does and does not know; empathy, towards the diverse ideas and experiences of others; and judgment, about when and how to take risks for the better. Life isn’t all successes; there are plenty of failures in there too. We are not trying to bring in a class of perfect people. We’re looking for people who are self-aware, growth minded, and humble, people who recognize those less-than-perfect moments or traits in themselves and then figure out where to go from there. That’s why we focus on confident humility. Tuck is small in size and big in collaboration. It’s not about being right, being the best, or winning. We don’t seek success at the expense of others. You won’t blend in or be anonymous. You will work with diverse people, with different ideas, perspectives, and experiences that shape them. In business school (and life! ), you will be one smart and talented person among many smart and talented people. We love that our students listen and learn from each other in class and over dinner, that they lean on their study group mates in areas where they’re less strong, and that recruiters highlight how Tuckies stand out as being able to work well with just about everyone. We’re looking for honesty in this essay. This is not a trick question. We’ve all received tough feedback, failed, or disappointed someone. Show us personal accountability and action. And like the first essay, details are important. Be specific enough that we get a clear picture of the situation, the result, and your role in it. Finally, don’t get to the end and forget the last part of our question: How did you respond, and what did you learn about yourself as a result? Other thoughts: Stick to one particular example instead of a string of several instances, and avoid being too vague. Consider both your immediate reaction and your reaction once given time to think and reflect. 3) (Optional) Please provide any additional insight or information that you have not addressed elsewhere that may be helpful in reviewing your application (e.g., unusual choice of evaluators, weaknesses in academic performance, unexplained job gaps or changes, etc.). Complete this question only if you feel your candidacy is not fully represented by this application. Optional is optional! We are NOT docking you for an empty optional essay. Actually, quite the opposite; if you give us an extra five paragraphs to read and it’s not necessary, we will question your judgment or your ability to express yourself succinctly elsewhere. For example, you do not need to further declare your love for Tuck here when you can articulate that in the first essay and the interview. Explaining an unusual recommender, or why you didn’t include your current direct supervisor. Explaining a particularly incongruent semester/class from undergrad, or a poor record overall. Anything else that may need additional explanation—as in, without it we will not understand the true context behind something. A good rule here is to keep it to a reasonable length. If you’re unsure if you should explain something, err on the side of including it—just do so as succinctly as possible. This question is very straightforward, but similarly to the optional essay, try not to repeat a bunch of stuff from elsewhere in the application. Naturally, it might happen here and there, but use your best judgment. If you received reapplicant feedback, you should specifically address that feedback—all of it. Word Counts: All noted word counts are meant as a guideline. While we’re not going to count every word, if your essay is exceptionally short, you either haven’t explained something fully, or simply did not put in much effort; if your essay is exceptionally long, you should consider revising it to be more succinct. Fortune may favor the brave, but when applying to business school it is careful planning and meaningful self-reflection that win the day. That’s quite a to-do list, but MBA admissions success doesn’t just happen — you create it. And that means accepting all the challenges that are involved, and not just pursuing the ones you like. So where do you get started? Pursuing the theme of insightful quotes, I asked my colleagues at Fortuna Admissions for their advice, based on years of insider experience working in the admissions offices of the world’s top business schools. Here are their 30 tips for MBA admissions success. It is clear from the insider experience of my colleagues, and decisions they made to admit certain candidates and reject others, that successful and unsuccessful applicants do not vary greatly in their abilities. They vary in their desires to achieve their goals. So what is to stop you? With MBA admissions essay requirements rapidly changing as schools and universities overhaul their MBA applications, one thing has become incredibly clear: the essay just isn’t what it used to be. So how are MBA applications changing? So how does an applicant get these new changes to work to his or her advantage? The prospect of a shorter essay – or one in a completely different format – can be daunting. But with the right attitude and approach, these new MBA admissions essays can actually provide a significant advantage. How does the MBA applicant adapt? Jia Ma is IMBA marketing and admissions director at Beijing’s School of Economics and Management. He reflects that, “candidates always impress me most by [delivering] quick and genuine answers with great wisdom or humor.” The essay is one of the best opportunities for an MBA applicant to truly showcase character and distinguish him or herself as a valuable candidate. That’s why it’s important to avoid uniform MBA cover letters and MBA admissions essays, despite the temptation to re-use them – particularly when other aspects of the MBA application process, such as GMAT preparation, appear to demand more time and attention. “Standardized letters sent out to different schools are really obvious,” says Dirk Buyens, academic dean at Vlerick Leuven Gent Management School. “They show a lack of dedication.” Essay space is not for reiterating information easily gleaned elsewhere in your MBA application; it is for highlighting the fit between the MBA applicant and the school. Be sure to craft each MBA cover letter and essay with the school and program you are applying to in mind. Most importantly, says Lynn Thornber, marketing and development coordinator at Durham Business School, “A failure to properly address the question asked is probably one of the most common mistakes, along with too much embellishment.” Since space is at a premium, now more than ever it is necessary to practice succinct and thoughtful expression. A business school application has a number of components that you must nail in order to earn a school’s acceptance. But with so many different places to potentially screw up, the whole process can be nerve-racking. Luckily, the worst thing you can do is easy to avoid. “I think the worst thing you can do on an application is simply not have done your homework and not be prepared,” Isser Gallogly, associate dean of MBA Admissions New York University’s Stern School of Business, told Business Insider. An important part of that homework is ensuring you’re absolutely sure you want to get an MBA. 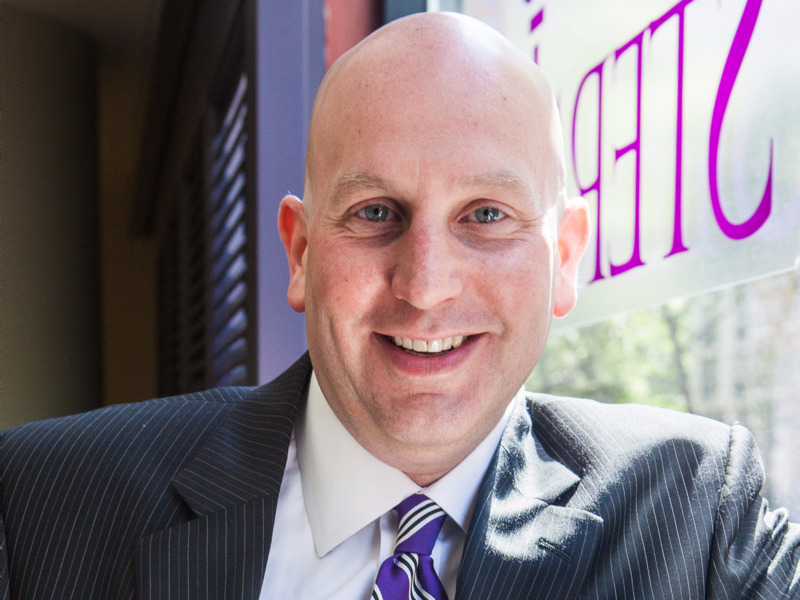 “Business school is an endeavor not to take lightly … Some people apply when they know they don’t really enjoy what they’re doing,” Gallogly, who has 15 years of experience in MBA admissions at Stern, said.